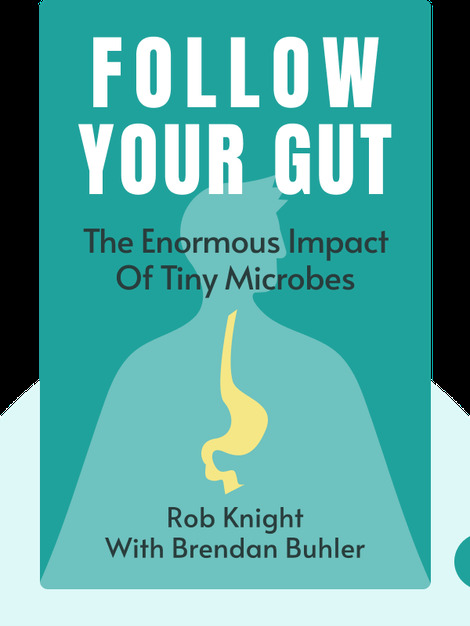 Follow Your Gut (2015) puts the world of microbes under the microscope, showing just how much influence the little things – in this case, bacteria – have on our life. The fact is, we’re crawling with bacteria, both inside and out, and if we weren’t, life wouldn’t be so great. Bacteria serve many important functions, like keeping us happy and healthy. It’s time to learn how to treat them well! Rob Knight is a professor at UC San Diego’s Department of Pediatrics and Department of Computer Science. 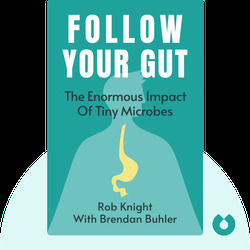 He is also a senior editor at the ISME Journal and co-founder of the American Gut Project. Brendan Buhler is an award-winning science writer who has been featured in Sierra magazine, the Los Angeles Times and California magazine. His story on biologist Rob Knight was selected for the 2012 edition of The Best American Science and Nature Writing.